These words appeared in the ‘Declaration of Jihad Against Jews and Crusaders’, a famous statement faxed to the pan-Arab newspaper Al-Quds al-Arabi on February 23, 1998. It urged Muslims to attack Americans and their allies. Its signatories, forming the purported ‘World Islamic Front for Jihad’ (al-jabha al-islamiyya al-‘alamiyya), were Osama bin Laden; his right-hand man Ayman al-Zawahiri, head of the Egyptian Islamic Jihad group; Rifa‘i Ahmad Taha, from al-Jama‘a al-Islamiyya; Mir Hamza, secretary of Jami‘at ‘Ulama’-i-Pakistan; and Fazlur Rahman, founder of Bengali Harakat al-Jihad. The declaration- along with a like-minded statement circulated in 1996 – marks a key moment in the evolution of jihadism, at the juncture of past and present. First, it enshrines the ideology of the group al-Qaeda as we know it. Second, it is a bridge between the ideological architecture that emerged in the 1960s and 1970s, shaped by several Islamist theoreticians, with today’s jihadist “ideoscape”, which is characterized by traditional as well as novel traits. But what did the statement symbolize, and how did it affect the older ideological trail? And, not less important, how has the jihadist galaxy evolved since then? In this article, we will briefly answer these questions. As noted, the 1998 fatwa and its underlying message did not emerge from a doctrinal vacuum. In fact, it can be considered a continuation of a long path, initiated by previous ideologues from the 1960s onwards. They include Abu al-A‘la al-Mawdudi, Sayyid Qutb, and ‘Abd al-Salam al-Faraj. These figures introduced key concepts which would strongly influence present-day jihadist groups, first and foremost al-Qaeda. For example, they reinterpreted the idea of jahiliyya, a term originally referring to the ‘ignorance’ plaguing the pre-Islamic era, by expanding its scope to signify the decay of contemporary Muslim countries. Likewise, they popularized the idea of hakimiyya (‘sovereignty’ of God’) to chastise Arab rulers who, in their view, did not govern in compliance with divine law. In so doing, these rulers defied God’s power, stemming from tawhid (‘oneness of God’). The word jihad too surfaced with great frequency in their writings, used with a violent connotation. It was intended by militants as the struggle to oust local ‘disbeliever’ governments, in order to establish the rule of God. If these notions blazed the trail of militant Islamism, it must also be acknowledged that, over the following years, the phenomenon evolved further, absorbing new principles and experiencing some paradigm shifts. The 1998 statement embodies one of these turning points. Forerun by Bin Laden’s 1996 ‘Declaration of War against the Americans Occupying the Land of the Two Holy Places’, the 1998 fatwa reiterated similar ideas, stating that Muslim people were oppressed and humiliated by Americans and their allies. The deployment of US troops to Saudi Arabia – the Land of the Two Holy Mosques – was the peak of that subjugation, the ‘World Islamic Front’ argued. Therefore, they urged every single believer to attack Americans and their allies whenever and wherever possible, civilians and soldiers alike, “in order to liberate the al-Aqsa Mosque and the holy mosque [Mecca] from their grip, and in order for their armies to move out of all the lands of Islam”. By instigating attacks on Americans (and Westerners or Jews), bin Laden’s call marked an important shift of priorities within the jihadist ideoscape. As a matter of fact, between the late 1970s and early 1980s, al-Faraj proposed a distinction between the ‘near enemy’ (al-‘adu al-qarib), namely local rulers in Arab countries, and the ‘far enemy’ (al-‘adu al-ba‘id), and explicitly stated that the former was the primary target. The vision of al-Qaeda manifested in the 1998 fatwa seems to overturn this hierarchy: no longer was the ‘near enemy’ the prime target; rather, it was more convenient to focus at first on the ‘far enemy’ – the US and its allies. Their collapse, al-Qaeda thought, would have eventually led to Arab leaders’ demise. However, by and large this stance was not espoused by militant Islamist groups and only a fraction of the jihadist galaxy decided to go global. Jihadist Ideology After 9-11: Going Glocal? In a sense, the attacks carried out on September 11, 2001 represented the highest point of al-Qaeda’s trajectory, as they put into action the global ambitions envisioned by the 1998 statement. In the following years, the changing operational context resulted in a number of developments within the jihadist landscape, from an organizational as well as an ideological perspective. For instance, the US-led invasion of Afghanistan and subsequent targeted strikes on training camps and jihadist cadres disrupted al-Qaeda’s safe haven, affecting its leadership and prompting a process of decentralization. Calls for single-actor attacks, to be executed by autonomous individuals, became more and more common. This evolution had a tangible impact on the ideological sphere: the thinking of figures such as Abu Mus‘ab al-Suri, advocating leaderless jihad, was revived to legitimize the new decentralized strategy. In recent years, a development of critical importance was the ascent of a new player in the post-Arab Spring environment – the self-proclaimed Islamic State (IS). In its heyday in late 2014, IS controlled a considerable area comprising 13% of Iraqi territory and 25% of Syrian territory. In fact, the organization was the latest incarnation of Jama‘at al-Tawhid al-Jihad, the group led by Abu Mus‘ab al-Zarqawi, which first rose to prominence in early 2000s against the backdrop of the US intervention in Iraq. While developing their own worldview, IS and their predecessors blended contributions from a variety of figures, traditional and innovative jihadists alike: not only al-Zarqawi and his erstwhile mentor Abu Muhammad al-Maqdisi, but also Abu Bakr Naji, ‘Dr. Fadl’, and Abu ‘Abd Allah al-Muhajir. Back in 2004, al-Zarqawi pledged loyalty to bin Laden. However, doctrinal, tactical, and strategic differences were evident from the very beginning. By 2014, al-Qaeda’s current head, Ayman al-Zawahiri, formally disavowed IS, creating a schism in the jihadist movement worldwide. How have jihadist ideology and the local-global nexus unfolded in this context? First of all, it must be remembered that the differentiation between a local and a global dimension, though native to jihadist thought, is an artificial one, and as such it has some limitations. Above all, we are not dealing with a clear-cut division between two mutually exclusive choices, but rather a flexible and blurred one. In the whole jihadist scene, local-oriented and global-oriented views alike are featured. Tellingly, a number of ideologues and militants couple local ambitions with far-ranging objectives in their own theories and strategies. The case of Abu Muhammad al-Maqdisi is meaningful: while mainly focusing on the ‘near enemy’, he did not entirely disregard the relevance of the ‘far enemy’. In the second place, although the divide between local and global is inherently ambiguous, over the last decade it has become increasingly blurred, with more and more groups melding the two dimensions. Indeed, this leads us to the third point: in several cases, the distinction between the near and far enemy proposed by jihadists has to do with the tactical or strategic plan and not with fixed, deep-rooted ideological beliefs. IS and its predecessors provide a useful example in this respect. At first, they devoted their attention to the local arena, targeting Iraqi forces and inhabitants, as well as foreign troops. However, over recent years the group did not shy away from plotting and executing attacks abroad, for instance in North America and in European countries. This may have resulted from a tactical and / or strategic shift, not a doctrinal or value-driven move. Finally, a new element has popped up within the far-versus-near-enemy debate: the sectarian dimension. Apparently, this is the true novelty brought about by IS, directly inherited from al-Zarqawi. The Jordanian militant aimed his attention at the local scene -that is, the ‘Iraqi jihad’ – asserting that while it was legitimate to perpetrate attacks on government forces, collaborationists, and foreign troops, the primary focus lied on Shiite Muslims. Indeed, he deemed Shiites as the chief enemies, and by targeting them he intended to trigger a sectarian war. This strategy clearly disturbed al-Qaeda’s top leaders, including al-Zawahiri, who rebuked al-Zarqawi for pursing a divisive agenda and advised him against it. When speaking of ‘jihadism’, we are in fact referring to an extremely complex phenomenon. It is a convenient label for diverse groups and individuals. Far from being a monolithic entity, it is comparable to a heterogeneous galaxy, characterized by internal splits on the ideological, tactical, and strategic fronts. Moreover, it is not a static phenomenon, but rather an ever-changing one. Still, regardless of this diversity, we can spot a fil rouge linking the thought of Sayyid Qutb with the ideological framework devised by al-Qaeda and IS. Undeniably, these organizations built their worldview upon Qutb’s legacy, but, in doing so, they internalized novel tenets and interpretative frames. The jihadist landscape is thus marked by both continuity and change: in order to survive, groups and individuals are ready to evolve, assimilating new theoretical and operational paradigms into their ideological outlook. The interplay between a local, a global, and a sectarian dimension, which each player readjusts and renews in its own peculiar fashion, is an example in that regard. In the jihadist realm, such innovations have often gone hand in hand with a process of fragmentation and differentiation. For instance, during the 1990s, part of the jihadist galaxy adopted a global strategy, whereas others retained a local focus, or even relinquished their militant views. Similarly, across the 2000s some players have championed a sectarian strategy. At present, a noteworthy development is the competition between al-Qaeda and its former affiliate, IS. Despite sharing a number of beliefs, the relationship between the two groups – and especially between their respective leaders – is a strained one. What’s more, both groups have experienced internal changes. Just think of al-Qaeda – it is seen as the quintessential global actor, but in the last few years it has apparently focused on a more local strategy. Conversely, IS did not refrain from an international campaign, in spite of its traditionally local, sectarian-centered outlook. And this further proves how tricky and fluctuating the distinction between local and global jihadist ideology can be. This balance often depends on the actual operational circumstances -incidents, hindrances, and opportunities alike. Finally, fissures and fragmentation have had an impact not only on the wider jihadist scene, but also within single groups. There is no shortage of examples. The case of al-Qaeda and Hay’at Tahrir al-Sham, originating from Jabhat al-Nusra, al-Qaeda’s one time affiliate in Syria, and officially autonomous since July 2016, is telling. Similarly, internal divergences have haunted IS, too, with the emergence of an ultra-extremist current, the “Hazimis”. A key question is how inter-group and intra-group differences and changes will unravel in the coming years. Militants’ ability to manage them will be critical for the fate of the jihadist galaxy as a whole. For further elaboration, see for instance: Y. M. Choueiri, Islamic Fundamentalism, rev. ed. (London and Washington, DC: Pinter Publishers, 1997); E. Sivan, Radical Islam: Medieval Theology and Modern Politics (New Haven and London: Yale University Press, 1990); G. Kepel, Le prophète et pharaon. Les mouvements islamistes dans l’Égypte contemporaine (Paris: Editions La Découverte, 1984); J. Calvert, Sayyid Qutb and the Origins of Radical Islamism (New York: Oxford University Press, 2009); S. Khatab, The Political Thought of Sayyid Qutb: The Theory of Jahiliyyah (London and New York: Routledge, 2006); S. Qutb, Milestones, English translation of Ma‘alim fi al-tariq (Birmingham: Maktabah Booksellers and Publishers, 2006); J. J. G. Jansen, The Neglected Duty: The Creed of Sadat’s Assassins and Islamic Resurgence in the Middle East (New York: Macmillan, 1986). Jansen’s work also includes an English translation of Faraj’s treatise Al-Jihad: al-Farida al-Gha’iba [Jihad: The Neglected Duty]. For a concise definition of the term ‘jihad’, see “Jihad”, Oxford Islamic Studies Online, URL: http://www.oxfordislamicstudies.com/article/opr/t125/e1199#. On ‘jihad’ and ‘jihadism’, see also M. Sedgwick, “Jihadism, Narrow and Wide: The Dangers of Loose Use of an Important Term”, Perspectives on Terrorism 9, n. 2 (2015); C. Bunzel, “Jihadism on Its Own Terms: Understanding a Movement”, Hoover Institution (2017). O. bin Laden, Declaration of War against the Americans Occupying the Land of the Two Holy Places, English translation of I‘lan al-harb didda al-amrikiyyin yaḥtalluna ard al-haramayn al-sharifayn (1996), URL: https://is.muni.cz/el/1423/jaro2010/MVZ203/OBL___AQ__Fatwa_1996.pdf. Thus, as early as 1996, bin Laden opposed the presence of US troops in Saudi Arabia, calling for Muslims to repel the enemy. In the view of bin Laden and other signatories, the ‘Crusaders’ and Jews besieged Muslims. Therefore, they called for Muslims to react, by launching a ‘defensive jihad’ (jihad al-difa‘), incumbent upon every believer (meaning it was an individual duty, fard al-‘ayn). World Islamic Front, “Al-nas al-bayan al-jabha al-islamiyya al-‘alamiyya li-jihad al-yahud wa al-salibiyyin” [Declaration of the World Islamic Front for Jihad against the Jews and the Crusaders]. Al-Faraj devoted a paragraph of his essay Al-jihad: al-farida al-gha‘iba to the issue. When citing the ‘far enemy’, he was specifically referring to Israel, but the classification can be extended to other countries too. See M. ‘Abd al-Salam Faraj’s, The Neglected Duty, English translation of Al-jihad: al-farida al-gha‘iba, in J. J. G. Jansen, The Neglected Duty, pp. 192-193. Some of the interviews, speeches, and declarations of bin Laden, as well as excerpts from al-Zawahiri’s books, crucial for understanding al-Qaeda’s ideology, are featured in G. Kepel and J. P. Milelli, Al Qaeda in Its Own Words (Cambridge: Belknap Press, 2008). 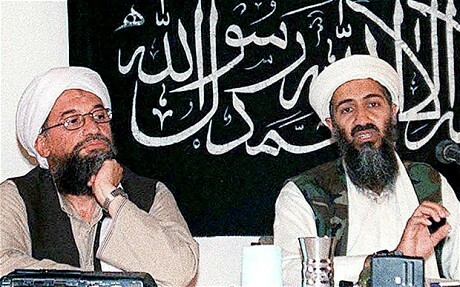 For instance, many fellow members of al-Zawahiri’s group al-Jihad opposed the move. On the other hand, the Egyptian al-Jama‘a al-Islamiyya renounced terrorism. For an in-depth study on the drivers behind the ‘globalization’ of jihad, see F. A. Gerges, The Far Enemy: Why Jihad Went Global (New York: Cambridge University Press, 2009). A number of factors accounted for that move. For instance, the epic narrative developed during and after the 1980s Afghan conflict, militants’ opposition to the presence of US troops in Saudi Arabia during and after the Gulf War, and the defeat of Egyptian and Algerian jihadist groups by local regimes in the 1990s. In this respect, other prominent influences were Anwar al-Awlaki and al-Qa‘ida’s magazine “Inspire”, Abu Yahya al-Libi, and Abu Jihad al-Masri, who wrote the treatise ‘How To Fight Alone’. Al-Suri’s main work is ‘The Global Islamic Resistance Call’ (Da‘wat al-muqawama al-islamiyya al-‘alamiyya). His ideology, as well as some excerpts of his book, are analyzed in B. Lia, Architect of Global Jihad: The Life of al-Qaida Strategist Abu Mus‘ab al-Suri (London: Hurst & Company, 2007). Seth G. Jones et al., Rolling Back the Islamic State (Santa Monica: RAND Corporation, 2017), p. 20. To put the ascent of IS in Syria and Iraq into context, see for example M. Weiss and H. Hassan, ISIS: Inside the army of terror, rev. ed. (New York: Simon & Schuster, 2016); J. Stern and J.M. Berger, ISIS: The state of terror (New York: HarperCollins, 2015); C. Lister, The Syrian Jihad: Al-Qaeda, the Islamic State and the Evolution of an Insurgency (New York: Oxford University Press, 2015); A. Plebani, “The unfolding legacy of al-Qa‘ida in Iraq: from al-Zarqawi to the new Islamic Caliphate”, in A. Plebani (ed. ), New (and Old) Patterns of Jihadism: al-Qa‘ida, the Islamic State and Beyond (Milan: Italian Institute for International Political Studies, 2014). However, al-Maqdisi subsequently opposed al-Zarqawi’s approach, and in recent years he has criticized IS. See F. A. Gerges, ISIS: A History (Princeton: Princeton University Press, 2016), pp. 33 ss. ; H. Hassan, “The Sectarianism of the Islamic State: Ideological Roots and Political Context”, Carnegie Endowment for International Peace (2016), pp. 12 ss. ; C. Winter and A. K. al-Saud, “The Obscure Theologian Who Shaped ISIS”, The Atlantic, December 4, 2016, URL: https://www.theatlantic.com/international/archive/2016/12/isis-muhajir-syria/509399/; C. Bunzel, “From Paper State to Caliphate: The Ideology of the Islamic State”, The Brookings Institution, (2015); A. B. Naji, The Management of Savagery: The Most Critical Stage Through Which the Umma Will Pass, English translation of Idarat al-tawahhush, akhtar al-marhala sa-tamurru bi-ha al-umma, transl. by W. McCants with the support of John M. Olin Institute for Strategic Studies at Harvard University (2006). Accessed through the Jihadi Document Repository at FFI/UiO, Oslo. For an in-depth study of al-Maqdisi and his ideology, see J. Wagemakers, A Quietist Jihadi. The Ideology and Influence of Abu Muhammad al-Maqdisi (New York: Cambridge University Press, 2012). See T. Hegghammer, “The Ideological Hybridization of Jihadi Groups”, in Current Trends in Islamist Ideology 9 (2009). The groups preceding IS also kidnapped foreign nationals based in the region. As several attacks were carried out in European countries, a lively debate regarding IS ‘globalization’ emerged, with a variety of opinions. IS portrayed the attacks as a retaliation against European countries, since they joined the international coalition formed in September 2014. Yet, it must be remembered that the group apparently started to plot attacks well before, dispatching operatives to Europe as early as 2012. This may suggest that IS saw Western countries as legitimate and / or potential targets well before the 2010s. See L. Vidino, F. Marone, and E. Entenmann, Fear Thy Neighbor: Radicalization and Jihadist Attacks in the West (Milano: ISPI, 2017), pp. 27-35. For other contributions to the debate, see D. Rapoport, “Why Has The Islamic State Changed its Strategy and Mounted the Paris-Brussels Attacks?”, in Perspectives on Terrorism 10, n. 2 (April 2016); “What motivated the terror attacks in Paris?”, PBS, November 15, 2015, URL: http://www.pbs.org/newshour/bb/what-motivated-the-terror-attacks-in-paris/; L. DePillis, “What was behind ISIS’s attack on Paris, according to experts”, The Washington Post, November 15, 2015, URL: https://www.washingtonpost.com/news/wonk/wp/2015/11/15/what-was-behind-isiss-attack-on-paris-according-to-experts/. A. M. al-Zarqawi, “Letter to Bin Laden and Zawahiri”, in G. Kepel and J. P. Milelli, Al Qaeda in Its Own Words, URL: https://2001-2009.state.gov/p/nea/rls/31694.htm. A. al-Zawahiri, “Letter to Abu Mus‘ab al-Zarqawi”, English translation, URL: https://fas.org/irp/news/2005/10/letter_in_english.pdf. The evolution of the relationship between al-Qaeda and Hay‘at Tahrir al-Sham is described in detail in C. Lister, “How al-Qa‘ida Lost Control of its Syrian Afliate: The Inside Story”, CTC Sentinel 11, n. 2 (2018). See also H. Hassan, “Zawahiri’s statements reveal plenty about Syria’s fractured jihadi scene”, The National, November 29, 2017, URL: https://www.thenational.ae/opinion/comment/zawahiri-s-statements-reveal-plenty-about-syria-s-fractured-jihadi-scene-1.679892; H. Hassan, “Jabhat Al Nusra and Al Qaeda: the riddle, the ruse and the reality”, The National, November 1, 2017, URL: https://www.thenational.ae/opinion/comment/jabhat-al-nusra-and-al-qaeda-the-riddle-the-ruse-and-the-reality-1.672221. A range of further contributions (as well as primary texts) can be found on Aaron Zelin’s ‘Jihadology’ (URL: www.jihadology.net), on the website ‘Jihadica’ (URL: www.jihadica.com), and on Aymenn al-Tamimi’s blog (URL: www.aymennjawad.org). See V. Mironova, E. Sergatskova e K. Alhamad, “The Bloody Split Within ISIS”, Foreign Affairs, December 8, 2017 (URL: https://www.foreignaffairs.com/articles/syria/2017-12-08/bloody-split-within-isis); T. Hamming, “The Extremist Wing of the Islamic State”, Jihadica, June 9, 2016 (URL: http://www.jihadica.com/the-extremist-wing-of-the-islamic-state); C. Bunzel, “Caliphate in Disarray: Theological Turmoil in the Islamic State”, Jihadica, October 3, 2017 (URL: http://www.jihadica.com/caliphate-in-disarray). On the issue of ‘fratricidal’ strife among jihadists, see M. M. Hafez, “The Curse of Cain: Why Fratricidal Jihadis Fail to Learn from Their Mistakes”, CTC Sentinel 10, n. 10 (2017).